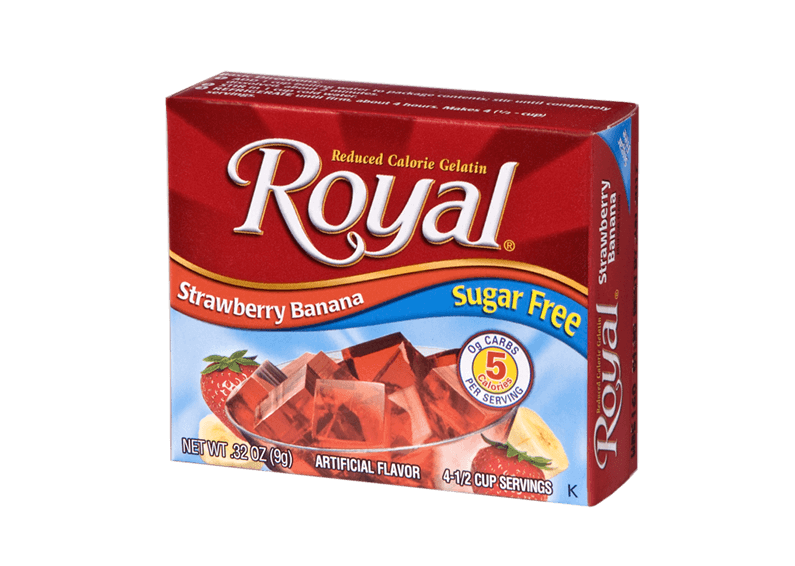 Our creamy Strawberry Banana flavor is everything you’ll need for low-calorie gratification. An exhilarating burst of flavor awaits in each bite! GELATIN, FUMARIC ACID (FOR TARTNESS), SODIUM CITRATE (CONTROLS ACIDITY), NATURAL AND ARTIFICIAL FLAVOR, MALTODEXTRIN, CONTAINS LESS THAN 2% OF THE FOLLOWING: ASPARTAME* (SWEETENER), ACESULFAME POTASSIUM (SWEETENER), RED 40.